Nina Antze is a botanical artist, quilt maker and teacher living in Sonoma County. She has a degree in Fine Art from San Francisco State University and has a Certificate in Botanical Illustration from the New York Botanical Gardens. Her paintings are part of the Filoli Florilegium and the Alcatraz Florilegium. Filoli Gardens, the Huntington Library and the San Francisco Botanical Gardens. 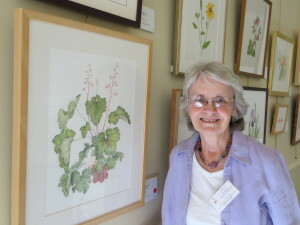 Nina is a member of the Northern California Society of Botanical Artists, Botanical Artists of Southern California, Guild of Natural Science Illustrators and the Colored Pencil Society of America.